Uber Technologies Inc.’s settlement of Waymo’s trade-secrets lawsuit in February left a key piece unresolved: the role played by Anthony Levandowski, the engineer at the center of the alleged theft of critical self-driving technology. Starting April 30, Levandowski goes to trial to defend himself — and at least $120 million in incentive payments he collected from the search giant before he defected to Uber. He’s fighting Google’s claims that he breached his contract as one of the leaders of its autonomous vehicle unit, now called Waymo, by recruiting from its ranks for his rival company, Otto. The case is in private arbitration, behind closed doors and out of the public eye. It has quietly drawn Uber back into a fight, if indirectly, that the company eagerly put behind it. That’s because as part of its deal to acquire Otto, Uber agreed to provide Levandowski legal cover, known as indemnification, for claims brought against him by Google. Uber settled the trade-secrets claims in February by paying $245 million worth of equity to Waymo. Some legal experts say it’s curious that the accord didn’t resolve Google’s claims against Levandowski, because such settlements typically aim to buy a measure of certainty by extinguishing all legal exposure from an adversary. Uber spokesman Matt Kallman declined to comment. Neel Chatterjee, a lawyer representing Levandowski in the arbitration, and Google also declined to comment. 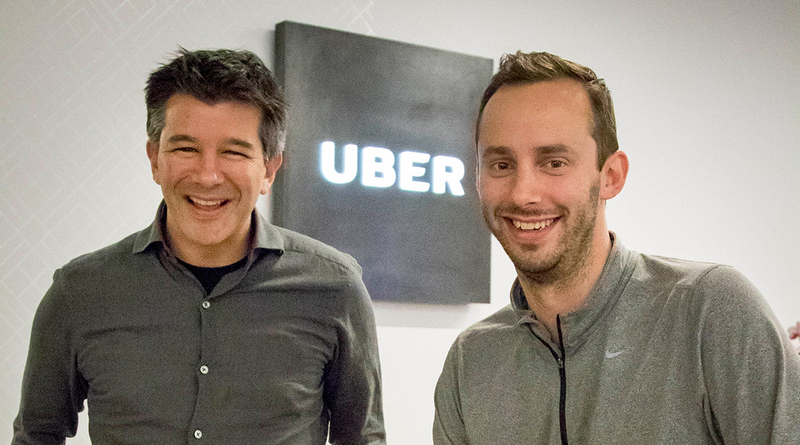 Uber bought Otto, formed just before Levandowski quit Waymo in January 2016, in a deal valued at more than $600 million in stock. Most of that sum wasn’t paid because the value was based on meeting target goals. Levandowski became head of Uber’s self-driving project but was demoted, and eventually fired, as Waymo’s trade-secrets case heated up. He wasn’t named as a defendant in the suit, but he was accused of conspiring with Travis Kalanick, who was then Uber’s CEO, to steal thousands of proprietary files related to Lidar technology that helps driverless cars see their surroundings. Uber denied wrongdoing. Google’s arbitration complaint isn’t focused on the technology. Instead, it asserts that Levandowski secretly used “confidential information regarding the unique skills, experiences and compensation packages” of Google employees to induce some to join Otto. California has a strong public policy encouraging employee mobility and allowing workers to move freely among companies. However, all employees remain bound by a duty of loyalty, said Jim Pooley, an intellectual property lawyer based in Silicon Valley. That duty includes not working against the interests of one’s employer, especially when it comes to collaborating with competitors, he said. Levandowski’s obligations to Google would have been heightened by his role as a manager and his knowledge of the abilities and salaries of other workers, and what it might take to get them to move to a competitor, he said. “You have to serve one master at a time is the basic idea,” Pooley said. Google’s founders famously encouraged employees to work on side projects as a management tactic. The company coined the “20% projects,” efforts to let staff create new business ideas during their official hours. At X, Alphabet’s research lab where Levandowski worked, employees were given incentives to drum up inventions the company could pursue. Levandowski’s departure from Google came during an exodus of early staffers in its car project to emerging rivals in the nascent self-driving space. He allegedly told one of his colleagues before he left the company that Uber would be “interested in buying” Google’s Lidar design team. When Levandowski started Otto, a handful of Google employees soon followed him to the new company. Evans said Google’s claims against Levandowski may remain unresolved because the Alphabet Inc. unit may have been simply unwilling, under any circumstances, to drop them. The arbitration complaint was always separate from, and filed four months before, the 2017 trade-secrets lawsuit.